The race for the flag-bearer of the People's Democratic Party (PDP) in the forth coming gubernatorial election in Ekiti state has been pruned down leaving only two candidates remaining to slug it out. 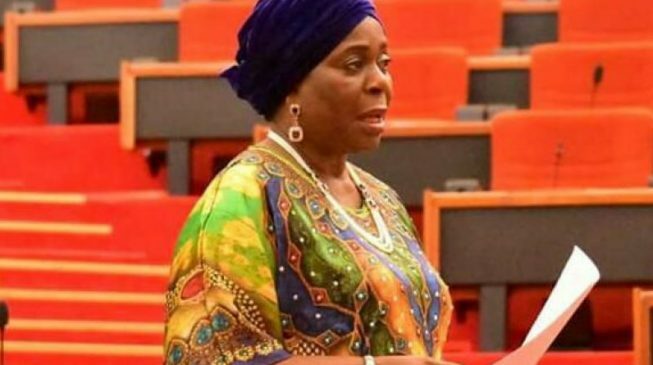 Senator Abiodun Olujimi, a senator representing Ekiti South constituency has stepped down for former Minister of Works, Prince Dayo Adeyeye. "For the benefit of our party, I offer myself and I transfer my structure to Prince Adeyeye." Olujimi steps down for Adeyeye. With Olujimi stepping down, the race to be the gubernatorial flag bearer is now between incumbent deputy governor, Kolapo Olusola-Eleka and Prince Dayo Adeyeye. Governor Okowa has confirmed that 1,965 delegates were accredited.